Elle courait quand le bus est arrivé. She was running when the bus arrived. Note that L'Imparfait is also the tense to express continuing actions in the past, or actions seen in their progression, with no clear beginning or end. This usage is similar to the Past Continuous (or Past Progressive) in English (i.e. I was doing, he was sleeping). See also Être en train de : expressing ongoing actions in the past. Question: Why does he say "c’était " instead of "c'est"? After all, Notre Dame a) though damaged still survives (as French President Marcon quickly told us) and b) remains a gift of France to civilization. Thus in Mayor Pete's comment I see no past action or situation, discontinuous or otherwise (except the fire being extinguished), indicated in relation to Notre Dame. Consulting "Learn the French Past Tense (Imperfect / Imparfait)" [https://www.thoughtco.com/imperfect-french-past-tense-1368859] none of the 7 listed conditions for using the imparfait seem to apply. Is there perhaps an 8th and less commonly understand use of the imparfait, in which people who comment on tragic or emotional events use this verb form to soften the impact of their words, which sounds polite and respectful to a French-listening audience? Resending since there seems to be an HTML mark-up problem with my question. "Au peuple de France je voudrais dire que la cathédrale Notre Dame, c’était comme un cadeau à l’espèce humaine. Nous partageons la douleur mais nous vous remercions aussi de ce cadeau à la civilisation." This is a great question John! I'll let one of our French experts answer it, but in our next Q&A update we'll have liking on questions I'm sure this would get lots! Simon, thank you. Looking forward to the follow-up. Also (aaargh! ), a correction to my original post: "Is there perhaps an 8th and less commonly understood use . . ."
I think "cétait" refers to it being "un cadeau" - presumably at some point in the past. It's the same in English, isn't it? For example: "I hate this tie, but it was a present from my wife". Thank you so much mam for your quick response but, iam totally confused between the two. I feel with you, Richa. That distinction isn't trivial and goes against the grain of how English uses these two tenses. 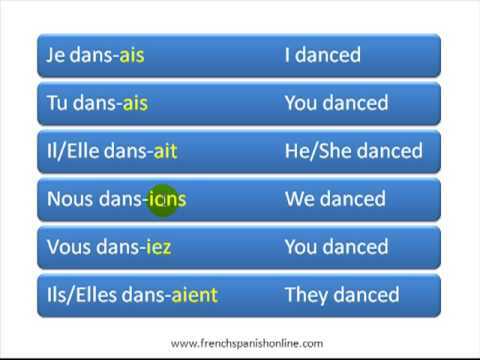 The reason you'd use imparfait in these examples lies buried in the fact that we are dealing with the verb être, to be. "Being" describes a state, and a state is considered distinct from an event. Describing states in the past, you use the imparfait. There's this group of verbs which are often used to describe states and, hence, are most often used with the imparfait tense. But "yesterday" implies a clear beginning and end, which often triggers the passé composé. So you have two competing guidelines, which is why it can be so confusing. Laura gives the example: "Il a fait froid, hier." J'étais malade pendant les vacances. -- I was sick during (the entire) vacation. J'ai été malade pendant les vacances. -- I was sick during the vacation (maybe a day out of the entire week). Just to add to this excellent debate , the context is very important when deciding which tense to use . C'était dur! = you are reflecting on how hard the task was when you were doing it. Ça a été dur!= you are reflecting on how hard the task was but that it is now over. Why use indicative passe simple? (sorry can`t insert an accent). Elle courait quand le bus arriva. Arriva to my knowledge is not spoken, therefore would this be the format in a written report? Bonjour James, While all of us that are native English speakers are striving to learn French, it appears to me that the lesson goal is the imparfait and not the passé simple. Elle courait quand le bus arriva. She was running when the bus arrived. To that end, I do think you have a valid point; why use the passé simple for the clause. It seems that a more appropriate phrasing would be: Elle courait quand le bus est arrivé, or Quand le bus sera arrivé, elle courait. Je suis d'accord que cette leçon est un peu ambiguë. Peut-être la leçon serait modifié. J'espère que cela vous aidera. Bonne chance ! Elle courait quand le bus arriva. Merci Aurelie, I have just got my head around using the future tense with `Quand`. Quand tu viendras, tu verras la nouvelle cuisine. When you come, you will see the new kitchen. Notice how in French you use the Le Futur in both parts of the sentence, including after quand, whereas in English you use the Present tense after when. The lesson we are discussing is, of course, using the imperfect tense in a continuous action. It could be an easy trap to fall into, using the future instead of the imperfect. A bientot. It was asked in a question to use "faire" in right past tense. When it was left unanswered, it was suggested to use imperfect tense as per 'quick lesson'. Does "right past tense" mean "imperfect tense"? This terminology was not used in the earlier lessons on imperfect tense. Please clarify. Bonjour yellamaraju ! No, the "right tense" here means the right tense in this context, which was to express a continuing action in the past. In this context, the "right past tense" to use in French is always L'Imparfait. I hope that clarifies it for you, à bientôt !